It can be really frustrating when you find an app or game that you really want or need and you can’t get it because it’s so expensive. If you really want a way to get apps without having to pay for it, then look no further because this is exactly what the Tutuapp tool is for. The Tutuapp is an alternative app store that hosts thousands of apps that have been modified to have better performance or to make it absolutely free. When it comes to app stores, the two most important features are undoubtedly the interface and search. After all, even if you host some of the best apps ever developed, it’s all meaningless if your users can’t actually find them. Thankfully, Tutuapp’s search function is simple, quick, and easy. The results are also very comprehensive. The interface looks like your typical app store. One great thing about it is that when you search for apps, the download size will automatically be shown in the search results. The big difference between Tutuapp and other app stores is the catalog of apps that they have hosted. Not only can you get apps that require payment absolutely free of charge in Tutuapp, but you can even get modified apps that have better features than the standard version you can get on the market. For example, you can get a modified version of Snapchat lets you save another user’s stories. That’s only one example of the many, many apps that have been modified and released on the Tutuapp. Usually, when dealing with modified apps, there’s no way to avoid having to jailbreak or root your device. However, there’s no need to jailbreak with the Tutuapp. Just install it and start getting your modified apps. If you’ve been thinking, “What’s the catch?” so far, well here it is. Tutuapp requires the additional app, Nesstool in order to work. 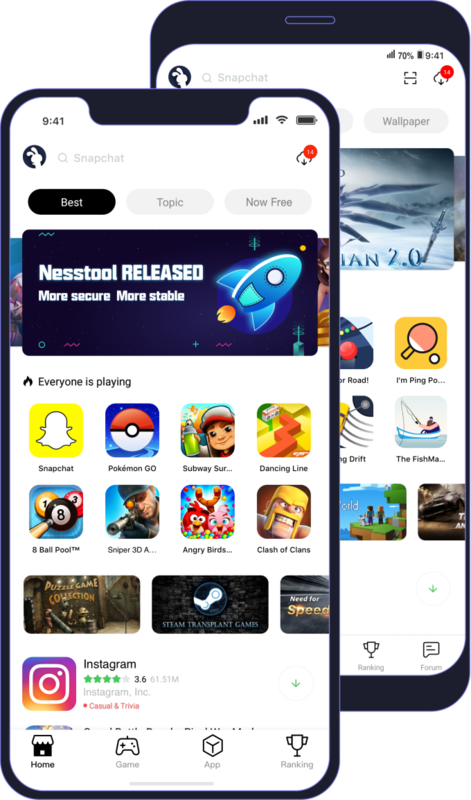 Nesstool is a VPN that prevents your modified app from being revoked by the official app store. The problem is that it requires a lot of permissions. You can choose to disallow some of these permissions, but if you’re paranoid about security, this might be a problem for you. Although there have not been any known security compromises while using Tutuapp, it may not be a good option for anyone concerned about that sort of thing. All of that aside, it’s a good alternative app store if you want modified or free versions of apps. Backyard Sports. Video game series. Backyard Sports is a series of video games released for consoles and computers. The series is best known for starring kid-sized versions of popular professional sports stars, such as Albert Pujols, Paul ... Wikipedia. First release: Backyard Baseball; 1997. Latest release: Backyard Sports: Baseball 2015 & Backyard Sports: Basketball 2015; 2015.